No matter what your favorite sunscreen product is, there are steps you can take to get the most benefit from it and help ensure you stay safe in the sun. Here are five things to keep in mind when applying sunscreen. 1. Correct Application. You have to make sure to apply it correctly to get all the benefits. We recommend applying 1 ounce (about 2 tablespoons) of SPF15 or higher sunscreen to exposed areas before stepping out into the sun. 2. Frequency. If you're in direct sun, make sure to reapply sunscreen every 2 hours; more often if you're swimming or perspiring heavily. 3. Reflective Requirement. Also take caution around water, sand, and snow, as their reflective surfaces can make the sun's rays even more intense. 4. Lip Protection. Don't forget your lips - defend them the sun as well with a balm of at least SPF15. 5. Clothing. As an additional precaution, you can protect your skin by wearing a hat, sunglasses, and long clothing along with your sunscreen. 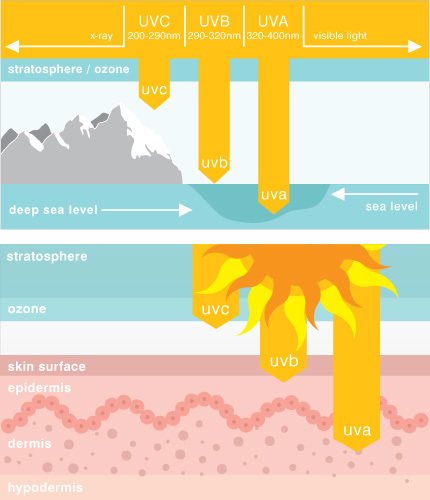 For more, visit our natural sunscreen and repellents resources page.